Thanks to social media, watching your friend begin a relationship is akin to watching one of the many zombie shows you can find on TV. Things start off normal and couple-y and they end as a nausea-inducing version of themselves that teeters really close to being unfollowed. Many couples have a clouded lovesick euphoria that impairs their thinking about what’s right and what’s wrong “couple’s behavior” on social media. This list has overcast skies written all over it because these couples obviously have some clouded impairment that led them to post these cringe-worthy pictures. A girlfriend decorated an entire wardrobe for her boyfriend before he went on vacation to make sure everyone knew he was taken. It’s really embarrassing, and it’s also coming up soon. What’s interesting about couple shirts like this is that they’re easily found at thrift shops, often times barely used. Why’s that? 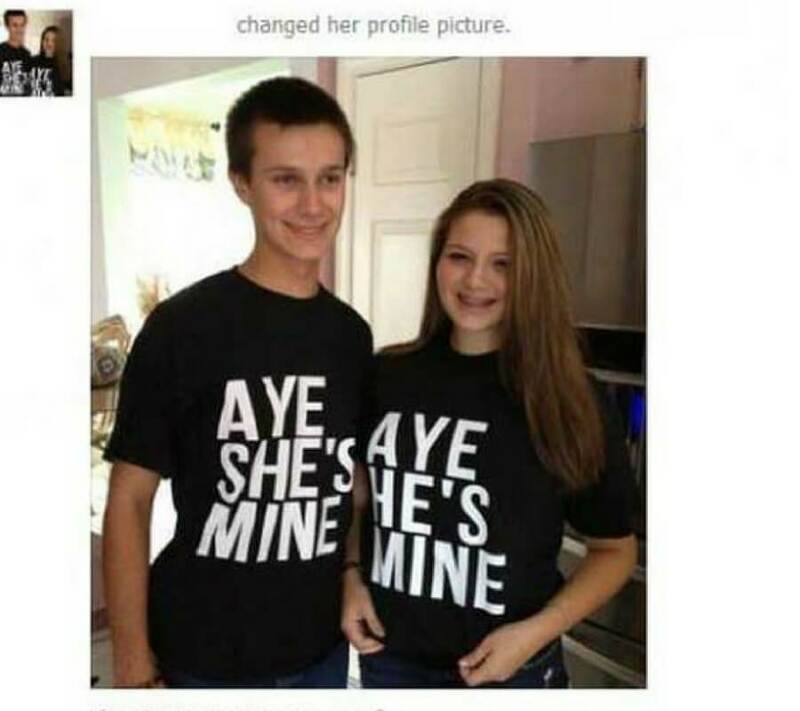 Because to get matching shirts like these already implies you’re a little bit nuts and the relationship probably has an expiration date of about two months. This is not Aye ok.